With this collection, we can see how they were being marketed, categorized, packaged, consumed. We can see how the perception of counterculture changed over time, and how the Velvets came to be seen as one of the most influential rock bands of their era. The narratives supported by this kind of material are increasingly important in academic discourse – faculty across multiple disciplines are interested in these important, countercultural, music-based collections. 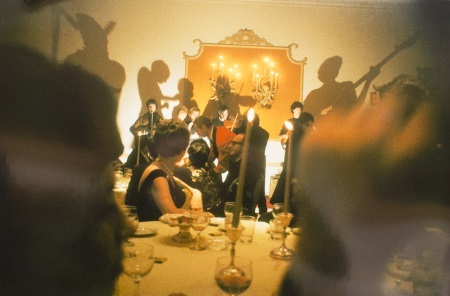 Highlights include photos from of January 13, 1966 show the Annual Dinner of the New York Society for Clinical Psychiatry at Delmonico's Hotel, a wealth of rare promo records, press releases, early magazines, and bootleg tapes. The contents of the 25 boxes will be examined and categorized for future reference and study.